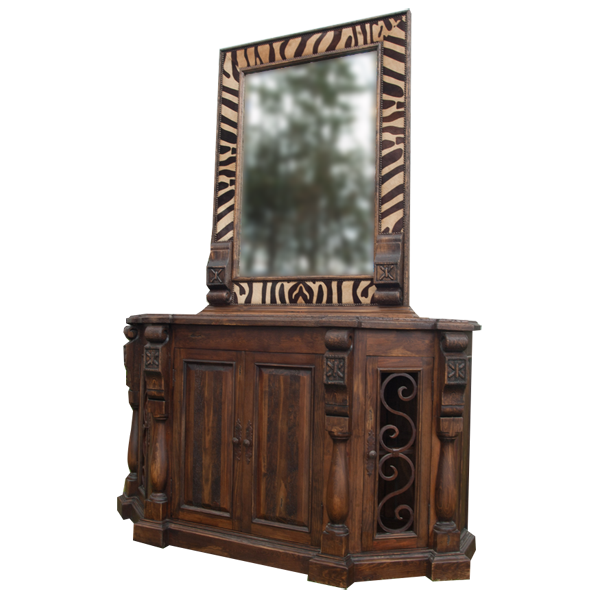 Add an exotic look to your home décor with this marvelous, handcrafted credenza with an accompanying mirror covered with simulated zebra cowhide. The credenza has an open, elegant, angular top and directly below the top are two, luxurious cabinet doors. Each cabinet door features alternating light and dark stain on its face, and there is a hand forged, iron, pull handle on the side of each cabinet door. Inside the cabinet doors is a shelf for practical storage. 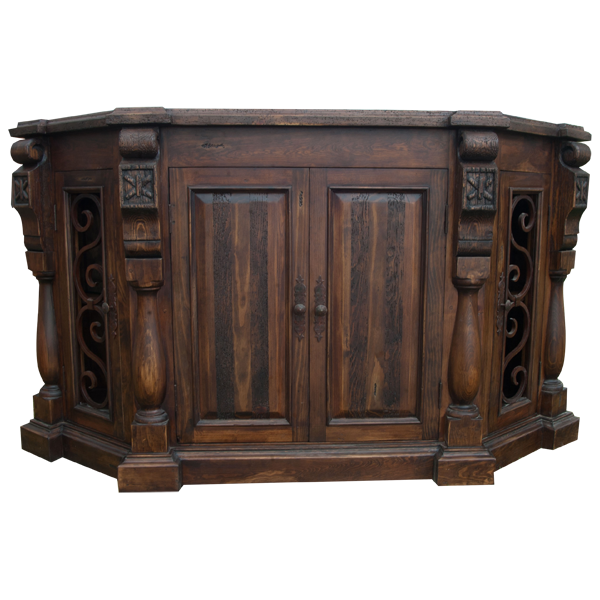 Each corner of the credenza has a beautiful, hand carved and hand turned, solid wood upright. 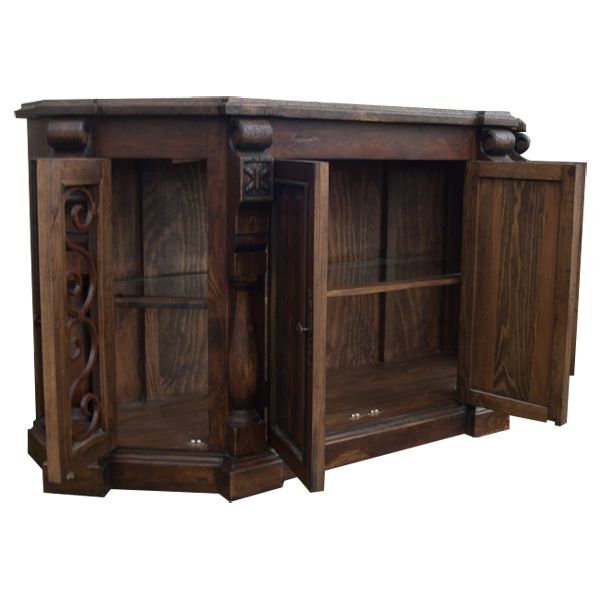 The lateral sides of the credenza have side doors and each side door has an open design covered with curved, hand forged, iron details. The side doors open to the inside shelf. The credenza rest on a solid wood modeling base, with geometric feet, and the credenza is made with the best, sustainable, solid wood available. 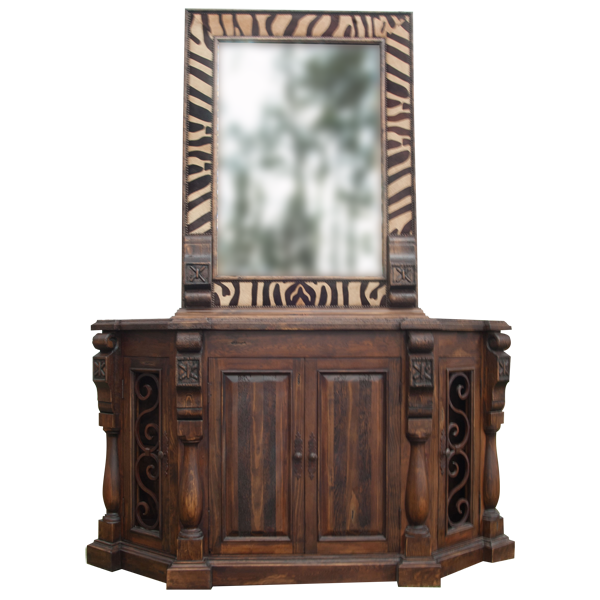 A magnificent mirror rest on the top of the credenza, and the frame of the mirror is covered with exotic, simulated, zebra cowhide. The credenza can be purchased with or without the mirror. The mirror and the credenza are 100% customizable.